Welcome to Goggle and Giggle a private swimming school for children and adults. 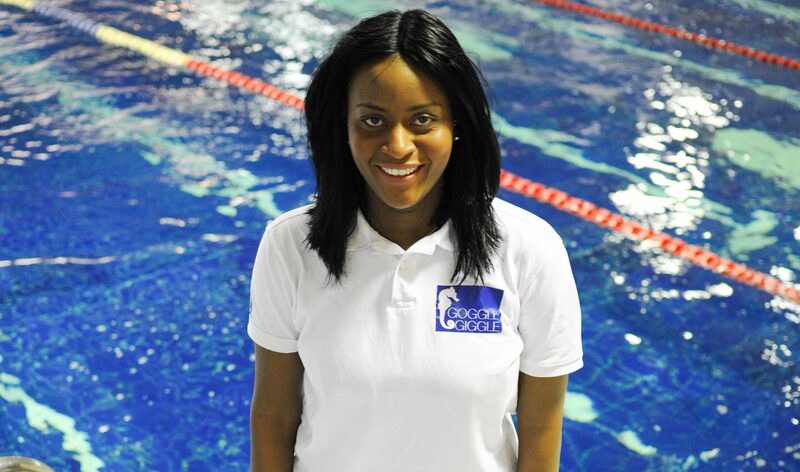 Click here to book a swimming session with our lead instructor Abena. 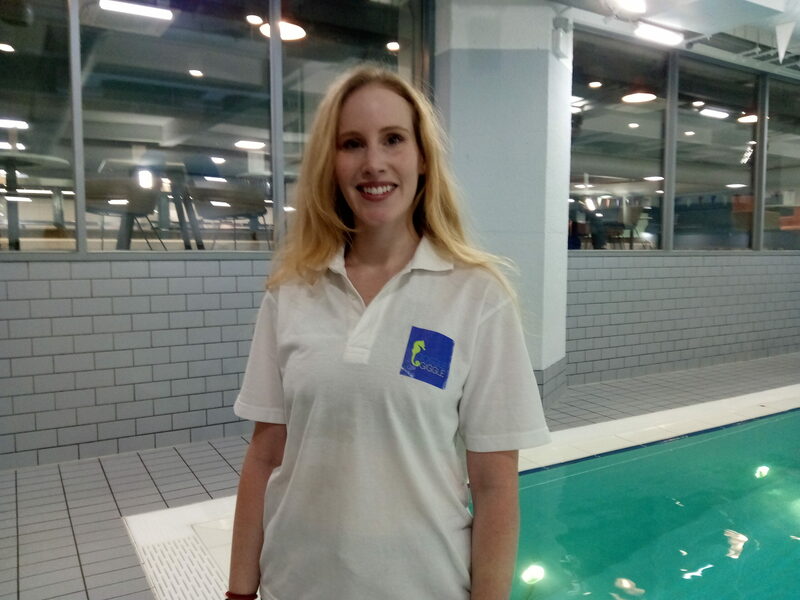 As a professionally trained swimming teacher, I have worked across London and its surrounding regions for more than five years, during which time I have acquired a wealth of experience working with children in the water. I have taught adults and children, from complete beginners to those at more advanced levels, such as triathletes. I have worked with mothers and babies as well as children above 5, guiding them through the National Plan for teaching swimming. During my time at YMCA Club I have successfully trained a number of children through all 10 stages of the National Plan for teaching swimming, taking them to long-term athlete development. High levels of learn to swim technical support, for all age groups (young children to adults). Preparing for swimming club training. Training programmes aimed at specific needs. Click here to book a swimming lesson with our instructor Martin. 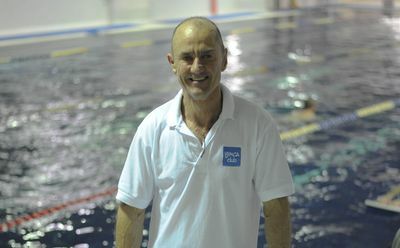 Martin is an extremely experienced swimming teacher and coach, who with various swimming clubs throughout London. Martin specializes in a very positive approach to a “learn to swim” program, everyone should feel good about themselves when they finish a lesson. Martin has a strong technical ‘swim’ background; He is able to provide a very high level of knowledge to all his students. Martin enjoys working with all age groups and abilities and uses his specialist skills to help students to reach their full swimming potential. As well as his ASA Level 2 qualification, Martin has used his BSc Human Biology and Level 5 Teaching qualifications in roles such as head coach of the YMCA Masters Swimming Club and in his role as coach for the London University Swim team. He has received the prestigious ASA National award for his role in developing the best community-swimming project. Martin takes child and vulnerable adult protection very seriously and is always up to date with all safeguarding courses. 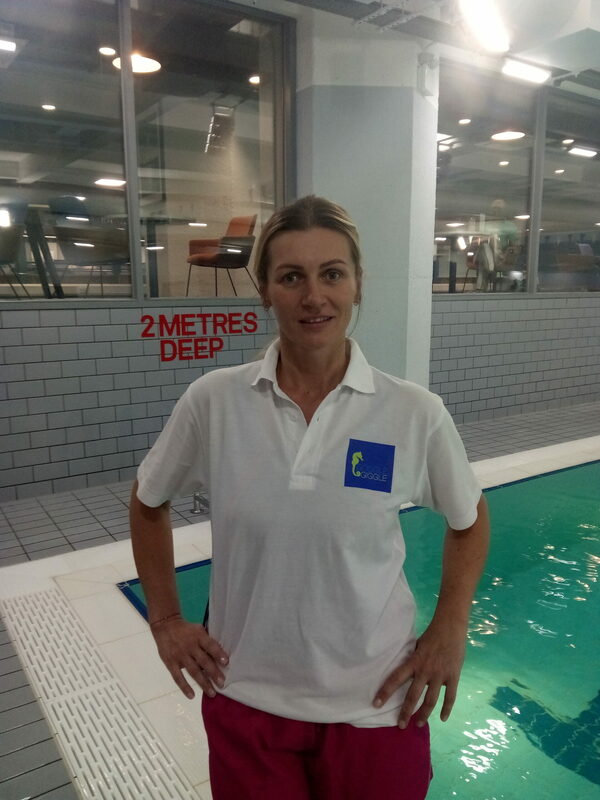 Click here to book a swimming lesson with our instructor Magda. I started teaching 20 years ago. As a trained physiotherapist, I’m very passionate about integrating both knowledge’s in my lessons. Having children myself, I know that it’s very important to adjust to individual needs. Seeing my pupils progress gives me great pleasure and fulfillment as a teacher. It has been my passion & my life since I remember, and been loving every moment of it. Click here to book a swimming lesson with our instructor Katherine. Born and raised close to the Durban beachfront in South Africa, I learnt to swim before I could walk, and have been a water baby ever since. Swimming has been my number one passion, and I have always made sure I live near a swimming pool. I have been swimming competitively ever since I can remember and am mostly a long-distance swimmer. I was a member of the Epworth Girls swimming team and South Africa’s Seals swimming club, was coached by Wayne Riddin, the head coach of the South African Olympic swimming team in 2000. I have swum the Midmar Mile, the world’s largest open water event, a number of times since I was at primary school, as well as recent ASA Masters swimming races in London. I currently swim for a Masters swimming club close to where I live, in order to continue my swimming fitness, stroke/technical awareness and competitive swimming. I decided to embark on a career as a professional swimming teacher as I would like to put my passion and my knowledge-towards helping beginners learn to swim for life. My goal is to ensure water confidence and swimming ability in all strokes, giving you skills to take anywhere with you, as I believe swimming to be an essential life skill to have. As well as being a qualified swimming teacher, I am also an artist and currently studying towards a Masters in Psychology at Birkbeck, University of London. I have also worked as a registered dental professional in Harley Street and Wimpole Street, London. Click here to book a swimming lesson with our instructor Amit. Amit began teaching in the 90s at his own swimming school in India – helping both adultsand kids build confidence and improving their water skills. Amit is not only an experience teacher who has trained more than 2500+ students over the years, he has significant experience including disabled and special needs swimmers as well. the UK in 2008. His exceptional ability to adapt new techniques for individual needs, combined with his demonstrative and disciplined attitude can be displayed throughout all of his lessons. 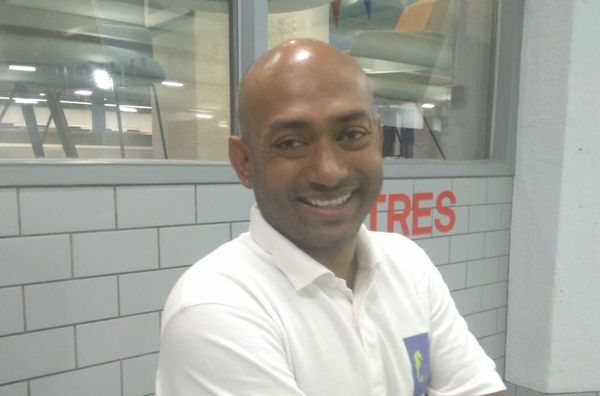 Amit’s goal as a swimming teacher is to help all students reach their swimming potential! Click here to book a swimming lesson with our instructor Francesca. Francesca is a swimming and waterpolo instructor. 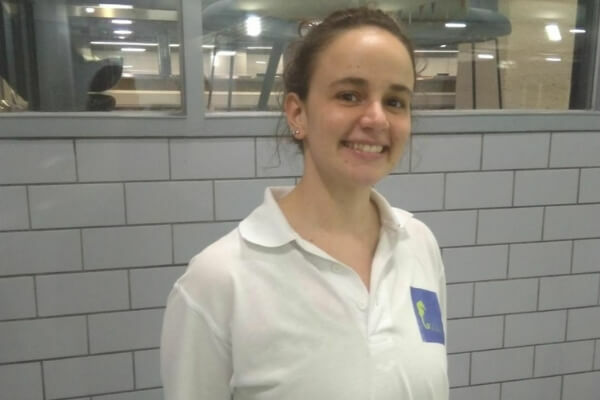 She has worked for Circolo Nautico Posillipo from 2010 to 2018, when she then moved to London. She learned how to swim when she was 2 and, since then, Francesca has always loved it. When she was 15, she started playing waterpolo in the A2 women league in Italy, participating in 5 youth waterpolo finals. As a waterpolo coach Francesca took part in two HaBaWaBa International Festival with the under-11 team of the Circolo Nautico Posillipo. Francesca also attended the Sport Science faculty at the “Parthenope” University in Naples. During the past 9 years Francesca has gained experiences training kids of all ages, coaching both individual and group lessons. She prides herself with being able to develop great relationship with the kids she trains, thanks to her empathy and expansiveness. Swimming is an important life skill and it was important to me that my children learn to swim. I chose Goggle and Giggle and I never looked back! The team is fantastic, so attentive, so professional and tune to your own individual needs. My daughter has been swimming with Martin for about 3 years now and her progress has been fantastic! She always enjoys her lessons and always comes back with a smile on her face. So, I motivated myself and enrolled for the beginner adult group lessons as I never learned to swim as as kid. And here again thanks to Abena and her fantastic team my progress has been outstanding , I still can not believe what I have achieved in the space of a few months. I am currently improving my front crawl, back strokes and learning the butterfly stroke!! !